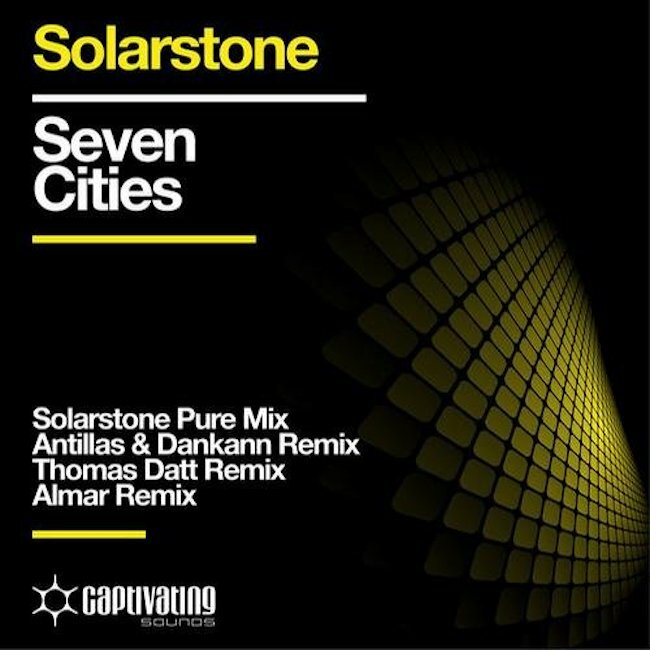 Solarstone - Seven Cities (Pure Mix) - Solarstone. Throughout the +13 years of its existence, Solarstone’s balearic überclassic ‘Seven Cities’ has moved literally millions of people. With its musical fire still burning bright, it now sees 4 brand new remakes come to life. Enjoy Solarstone’s Pure re-touch, as well as remixes by Antillas & Dankann, rising talent Thomas Datt & newcomer Almar. Richard Mowatt aka Solarstone is responsible for some of the biggest classics in EDM history. The UK producer/DJ didn’t only bring us the seminal classics ‘Solarcoaster, ‘Like A Waterfall’ and ‘Jump The Next Train’ plus more recent anthems ‘The Spell’, ‘Fireisland’ & ‘Jewel; he’s also one of the masterminds (together with Andy Bury) behind ‘Seven Cities’ – an all-time favourite that won’t fade anytime soon. For 2013, Solarstone himself has given it a #PureTrance upgrade – his ‘Pure’ Mix injecting that extra push of energy and bass-work. Italian producers Antillas & Dankann go full out on feel-good, giving it that playful stir of prog-house, without losing its original vibe. Polish producer Thomas Datt on the other hand, kept his focus on the uplifting and trancey side of ‘Seven Cities’, providing a solid remix for the trance junkies – as does Romania’s Almar who pulls no punches with his rousing, melodic mix.